If you ask anybody about Amritsar they will reply with the name of Golden Temple within a moment. 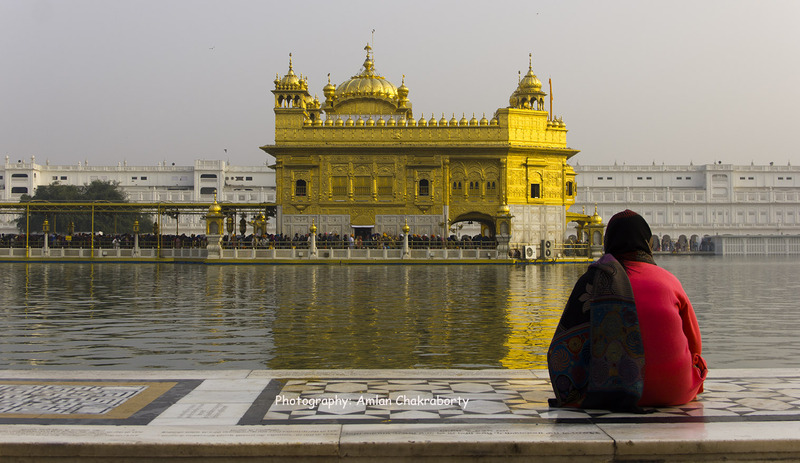 There is no doubt that Golden Temple or Harimandir Sahib is the main attraction of this city but apart from this iconic temple, a traveler has many things to explore while s/he is in Amritsar. Sikhism were founded with the concept of “seva” (free service) and enriched by the mixture of the good sign of all the religion. So, Sikhism consists of the best of the bests. People of Sikh community are usually very jovial, lively and friendly in nature. Their practice and the religion capital of Sikhism reflects their nature very prominently. They have exciting cuisine, colorful garments. So there religion capital should fulfill a traveler’s desire. I feel to give you a comprehensive detail about Amritsar so that you can get an idea before making your itinerary. Two days are enough to explore Amritsar. There are at least eight reasons to visit at least eight times in this area. Apart from the golden beauty and religious customs there are a lot to experience. Please observe the cleanliness of the temple. How systematically the complex is maintained can be a good example for every religion. People with colourful turban, dupatta and outfits can make your eyes pleasant. 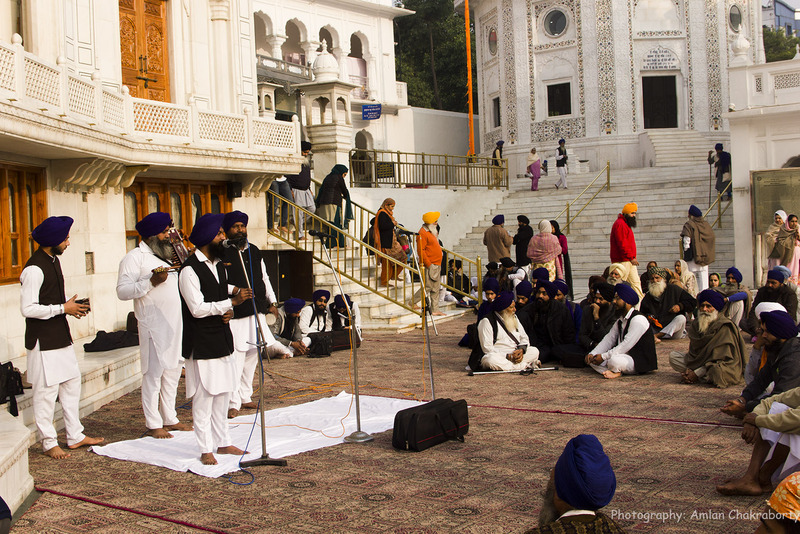 Listening to the Bhajans sung inside the temple and in front of Akal Takht Gate will make your ears delighted. For more detail about Golden Temple, please visit to my older post. It is a privilege to get a chance for serving and having a meal in world’s largest kitchen and dining hall. Please do not miss the opportunity and have the larger than life experience. For more detail, please visit to my post about Langar. The garden is a silent speaker of the most unfortunate episode of British Raj in India. On 13th April 1919, over 5000 people gathered in this garden to celebrate Baisakhi (the harvest festival of Punjab). Troops of British Indian Army under the command of Colonel Dyer fired riffles that killed more than 2000 people and rest of the crowd got severely injured. The garden is only a 2-minutes walking distance from the main entrance of Golden Temple and maintained by Archaeological Survey of India. 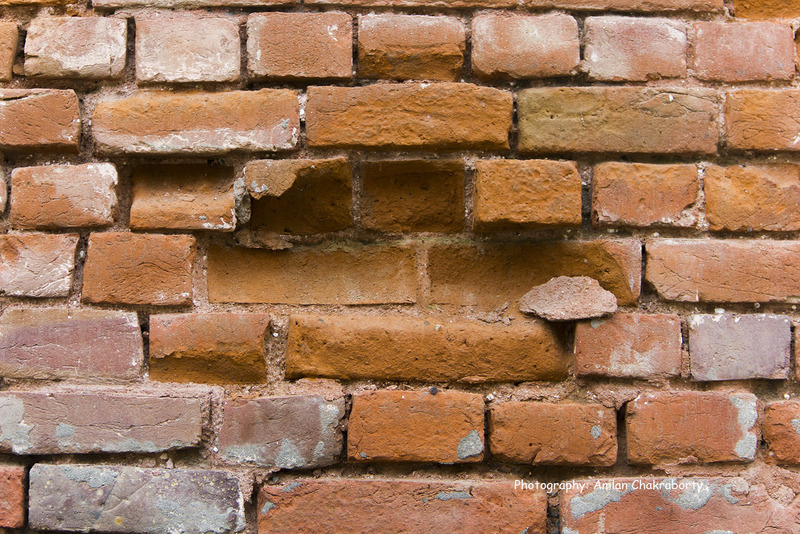 Bullet marks are still found on the walls. The Well where many people jumped in fear is still there. It is said that 120 dead bodies were recovered from it. The points are designated from where the shooting done and an iconic remembrance statue has been constructed to show respect to those unfortunate people. 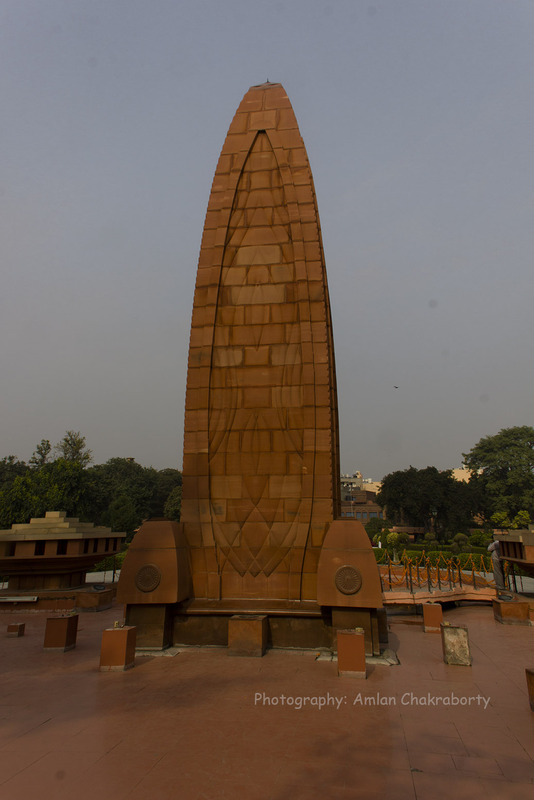 While visiting in Jalianwala Bagh, your eyes will definitely get moistened if you can visualize the cruelty of Colonel Dyre and think about the condition of unarmed crowd who was there to celebrate their harvest festival. 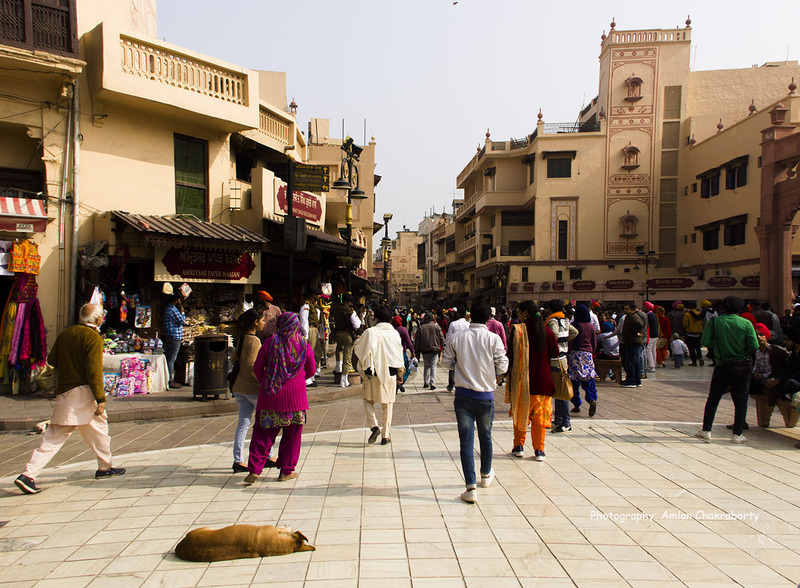 This is the road that leads to Jalianwala Bagh, Golden Temple and Langar. There are some other temples and gigantic buildings, malls. 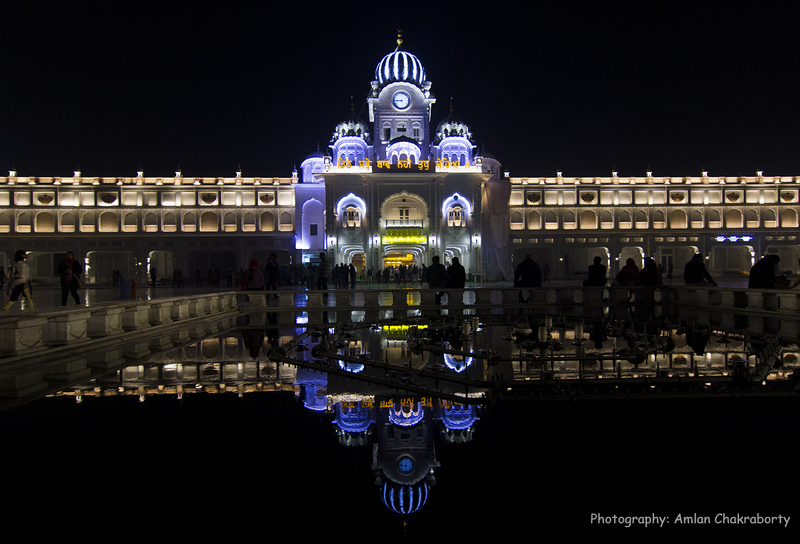 Just experience the gorgeousness, aristocracy, tradition and cultural values of Sikhs. 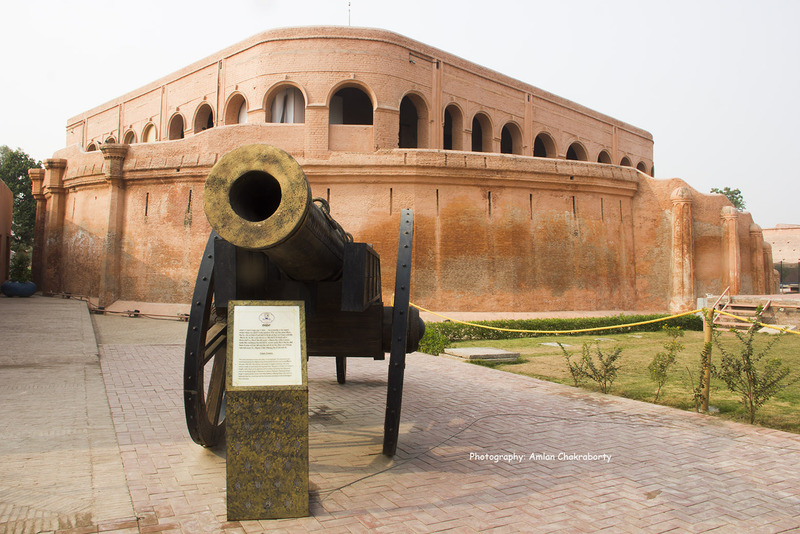 The fort was built by Gujjar Singh Bhangi and later Maharaja Ranjit Singh renamed it to Gobindagarh Fort to show the respect to Guru Gobinda Singh, the tenth guru of Sikhism. Now the fort is under the army and also a point of attraction. Local buses are there or you can plan to visit here on the same day to visit Wagah Border and Khalsa College. Please go there before dark. This is a unique structure and a must-see architecture. Unfortunately, due to our driver’s mistake, I visited in the evening so could not get photograph of it. 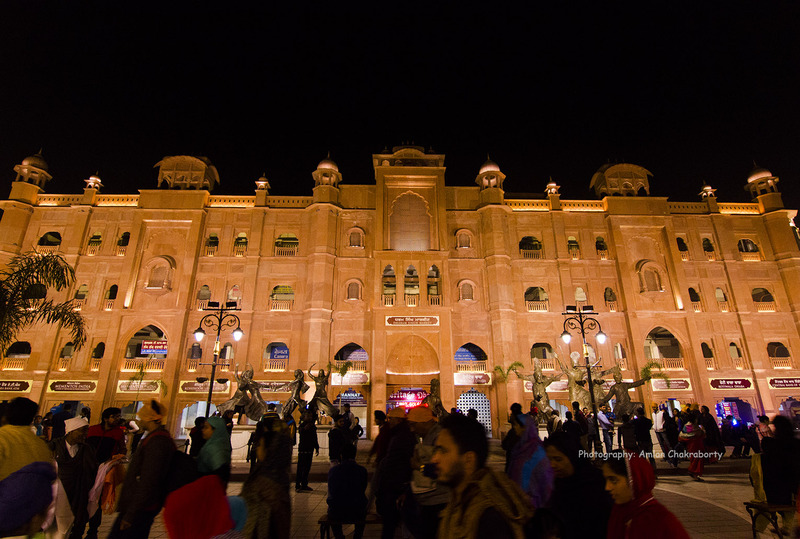 Take a car from Amritsar, go and see the evening parade in Wagah Border. I did not find anything special rather I would like to mention it as a loud ultra nationalist activity. Common people gather there and show some nasty postures to the neighbour country Pakistan. This is a threat to mankind and unity of the subcontinent. If you are a shopaholic like me or if your daughter, sister, girl friend or wife is with you, your itinerary must have an ample room for shopping. Many famous market places are there. Hall Bazar, Kathian Bazar, Katra Jaimal Singh Bazar, Tahali Sahib Bazar. 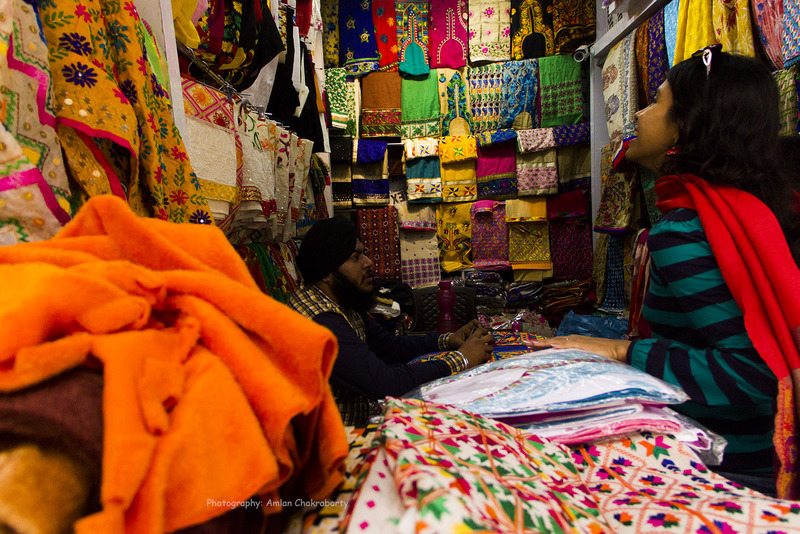 Among them, Kathian Bazar is just outside of the main entrance of Golden Temple. 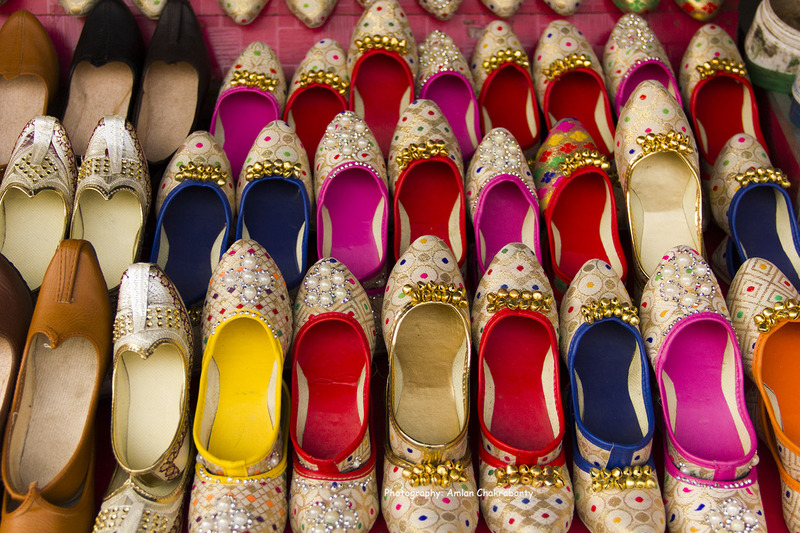 Amritsar is known for Phulkari and Juttis. These are actually ladies’ garments. But for a man Kurtas are main option. Mementos and replicas of Golden Temples can be purchased from here. “Love at first sight” has some exceptions. Neither my sister nor myself got impressed with the condition and ambiance of the restaurant. But from my experience I was optimistic about the taste of the food. 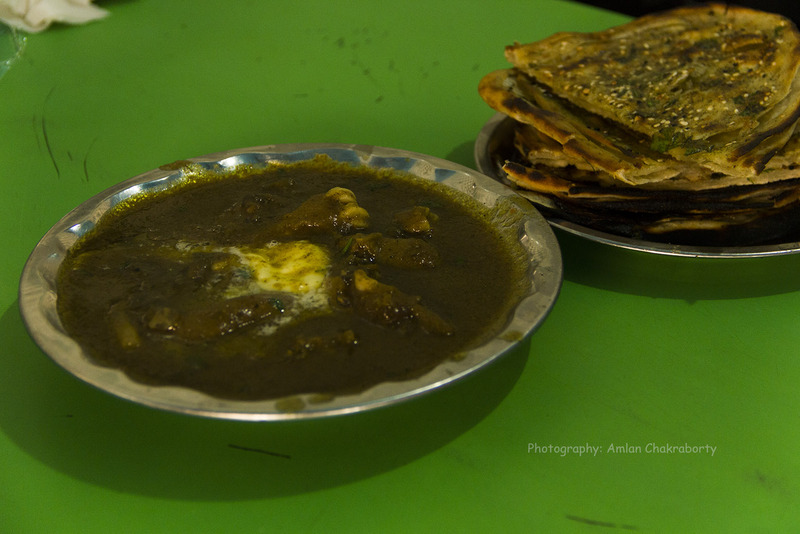 When hot Mutton Paya was served, its heavenly smell seconded my assumption and its taste was simply awesome!!! The world famous Punjabi dishes!!! 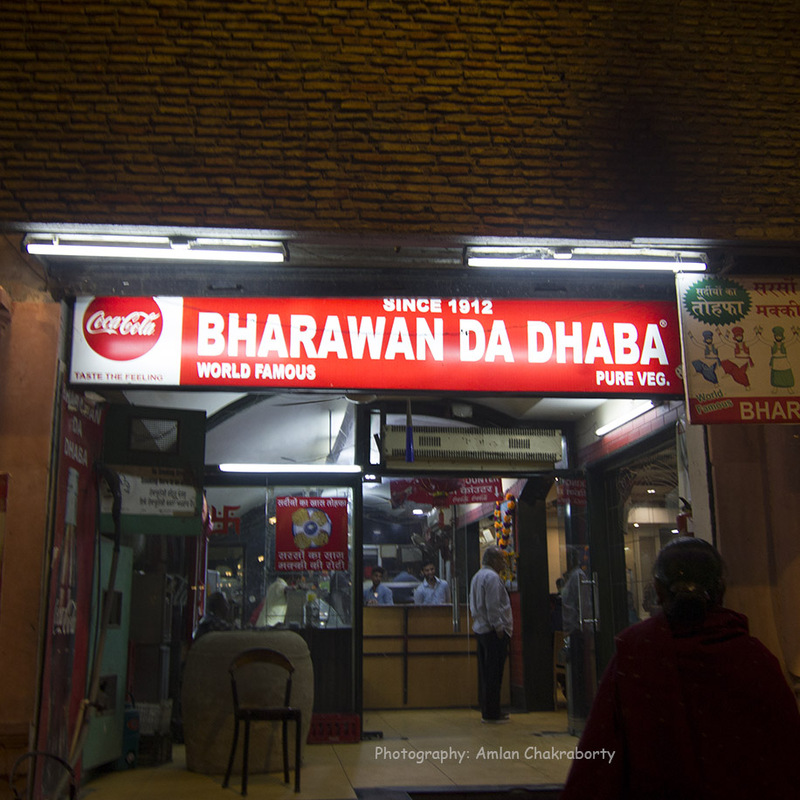 You can taste it in any restaurant in Amritsar but for the authentic one, you need to go to Bharawan da Dhabha. 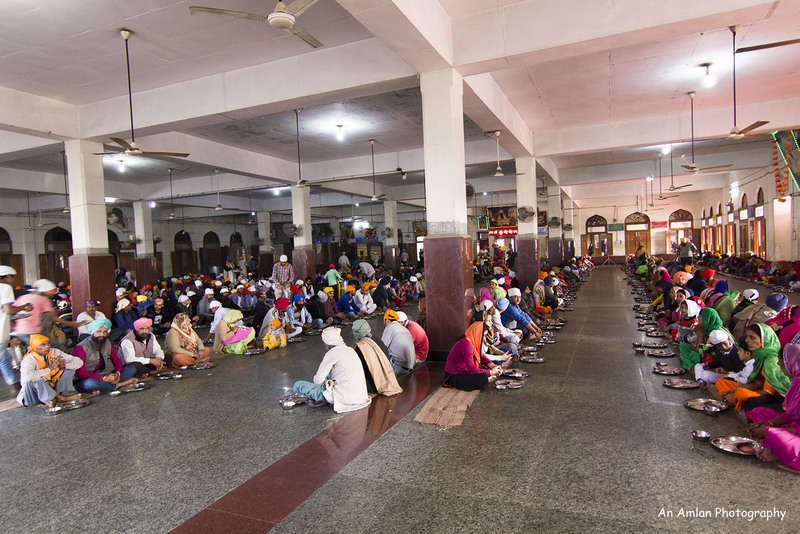 It is said that “Pray at Harimandir Sahib, Eat at Bhawan Da Dhaba”. You can even take an Amritsari Thali here. This is located inside the outer temple complex area and just adjacent to Town Hall. 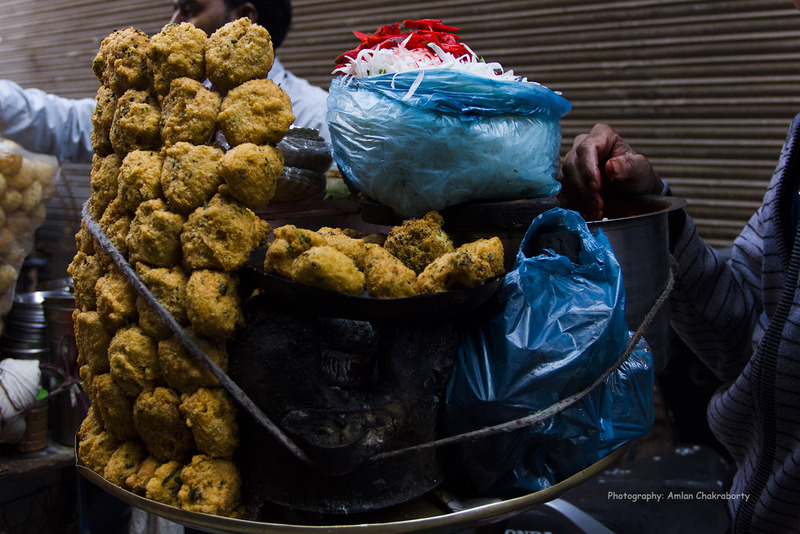 There are many street food joints but I explored the nearby places of Golden Temple. Sikhs are foody. 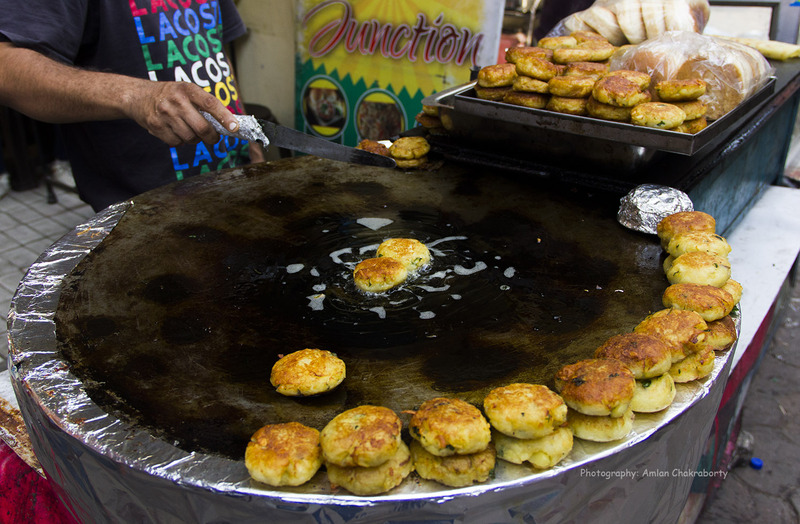 So, Amritsar is a paradise for street food. 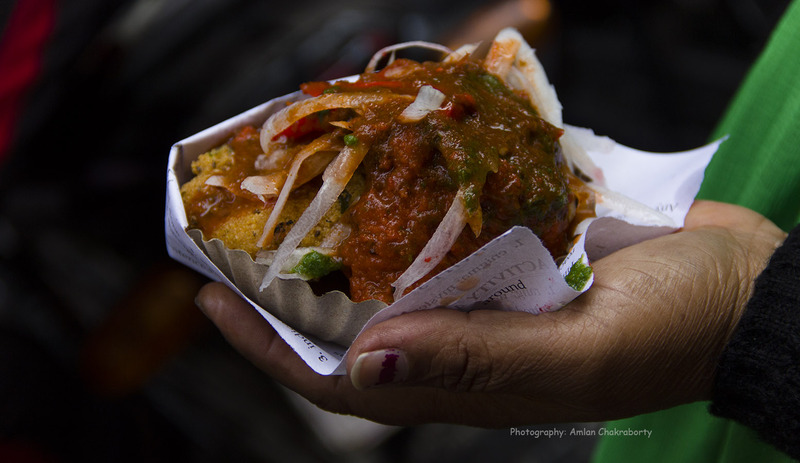 Kachori, Alu Tiki, Pani puri, Chats and many more exciting street foods are available everywhere. If you are in Amritsar then Lassi is the beverage that you have to try. Street Lassi joints are the best options for Lassi. For Jalebis, please visit to Sharma Sweet Shop. 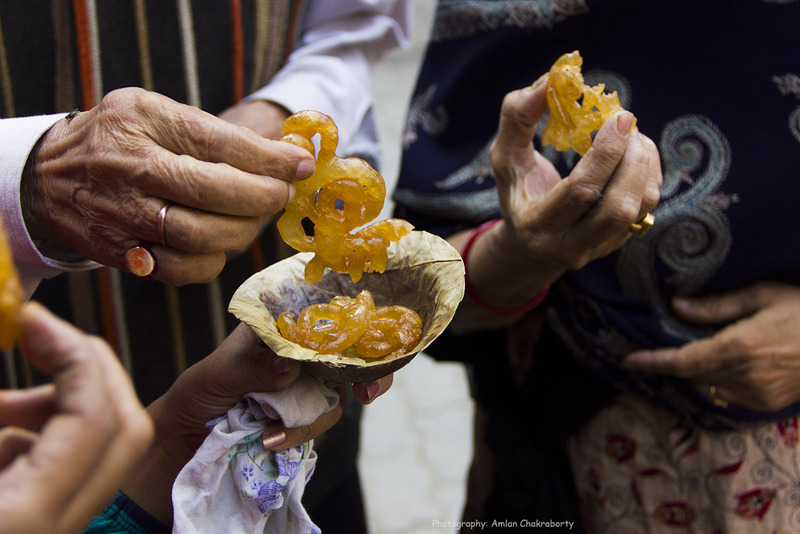 For Kulfi and other sweets, Kanha Sweets is the place that you must visit. 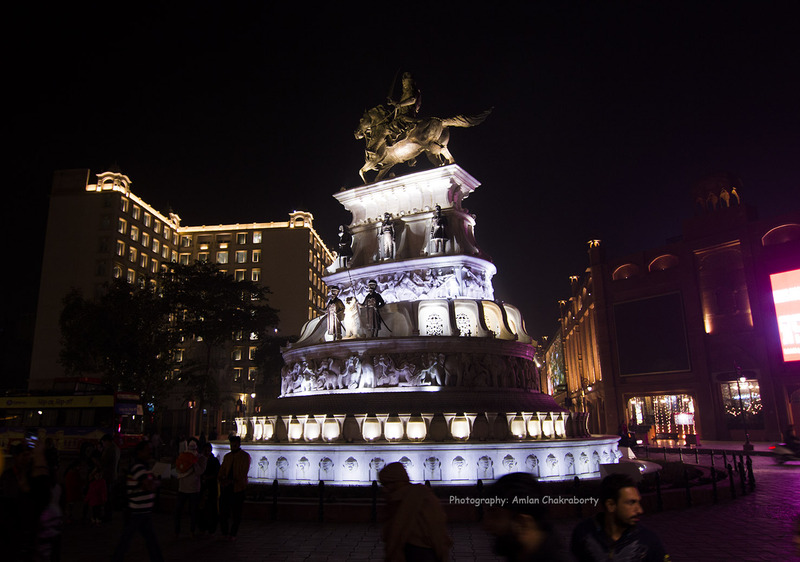 To explore Amritsar in a proper way, it is always suggested to stay near the Golden Temple Complex. There are many hotels in Golden Temple area. You can choose according to your budget. Lovely pictures and description. I love to visit Amritsar Once. Proud of you.